Beautiful Voices is our ongoing blog series that highlights inspiring, empowering women. Our most recent Beautiful Voice is Brianna Goldenstein. See what she says when Annmarie asks her some questions about her own personal beauty. 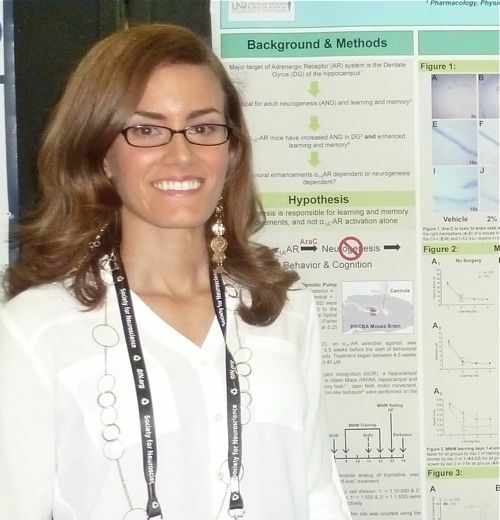 Brianna Goldenstein is a Ph.D. candidate studying neuroscience at the University of North Dakota. She will be graduating next May. She loves science, hip hop dancing, Luigi (feline friend), and her family and friends. She hopes to find a fantastic job to start the next phase of her life in the fall of 2014. I'm a student: of science, of love, of life. I have been blessed and shaped by so many different moments in my life that I couldn't possibly choose one to define it. Laughing. Spontaneous hugs. Sunshine. Dressing up. Dancing. Learning. Meeting goals. And (of course), pampering myself with Annmarie Gianni Skin Care products. Unless it's mad, passionate, extraordinary love, it's a waste of your time. There are too many mediocre things in life. Love shouldn't be one of them. Dancing. Savasana (at the end of yoga practice). Playing piano. Listening to a favorite song. Hiking and swimming in nature. Reading. Hugs from and laughing with family & friends. Beauty is having the confidence to live a life of meaning, designed by you. What's your favorite beauty secret or tip? Sleep and water. Enough of each of these things can be very restorative. I like to get together with a friend for tea and conversation, take a shower and paint my nails, and/or give myself a facial and read a good book. Ghandi says it best: Be the change you want to see in the world.